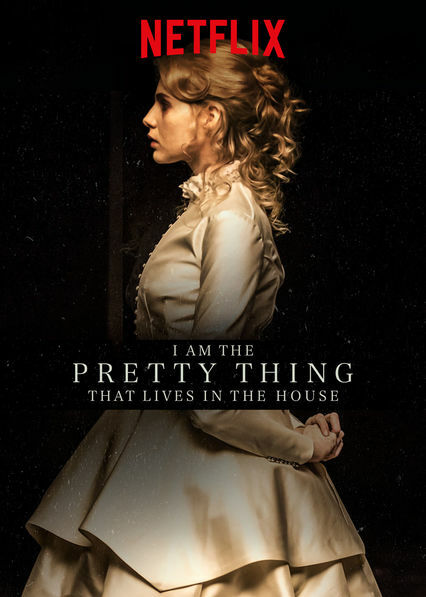 I Am the Pretty Thing That Lives in the House is a Netflix exclusive film that plays out like a Victorian horror. It has a very minimal cast and to call it a bit of a slow burn would be an understatement. 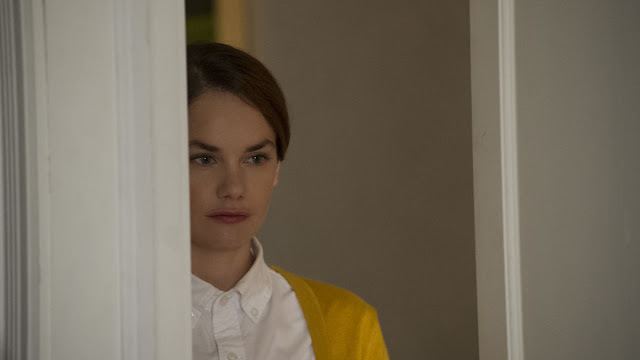 Ruth Wilson stars as Lily, a young nurse who has taken on the role of looking after Iris Blum; an elderly horror author (who appears to be suffering dementia) at her remote country house. With Iris constantly referring to Lily as Polly she decides to find out just who this person was. It turns out she was the main character of one of Iris's most popular books, not only that but it seems this person could have been based on a real person who had some sort of tie to the house. This movie is maybe the slowest one I have ever seen. 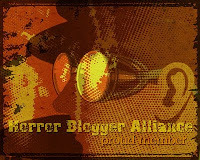 There is a bizarre sub set of films I have catalogued over the years that are such slow, quiet slow burns that they have the capacity to induce sleep. These include Solaris, Ex Machina, and now this. I started watching this on my lunch break, I lasted thirty five minutes before falling asleep in a stupid position in a brightly lit room, somewhat full of talking people. Watching the rest on my VR unit at home I again had to keep fighting the urge to fall asleep. For a ghost story (I Am the) pretty (Thing That Lives in the House) much nothing happens in it's ninety minute run time, that is not to say it is boring, it really isn't, it is just so insular that the stark location, and brooding atmosphere combine to create lethargy. One of the main reasons the film is so quiet is that for about 95% of its run time it is just Lily on her own. Even when she is on the phone to a friend the conversation remains one sided which helps with the sense of solitude. There are just a handful of characters but they only appear in a couple of scenes. 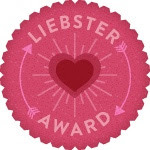 To get around this there is quite a lot of narration by Lily who it quickly is revealed is dead and is relaying the events that led her to be so. She is quite an odd person, a loner who talks to inanimate objects and is very much fearful. She is barely able to read a single page of one of Iris's horror novels without getting scared for instance, while she jumps every time someone knocks at the door, all in all very timid. This made it a bit hard to really like her but it was an interesting spin that does lead to developments further down the line. Other actors all do fine jobs, there isn't any bad acting here, but then Wilson aside there is no chance for the actors to do a bad job. This is written and directed by Oz Perkins who wrote and directed February and is the son of Psycho star Anthony Perkins. He is masterful in the methodical, slow, lingering shots that make up the meat of Pretty Thing (I cannot bring myself to keep typing the full title out). Each single shot feels deliberate, dragged out to a length that is always on the cusp of being tedious. A lot of the time scenes are out of focus or nondescript, not enough information given to the viewer, it is quite art house in style which is never to everyone's tastes. The plot is extremely simple but plays out well I thought. There is a story within the story revealing the Polly sub plot but for me this was too mysterious, a few silent scenes that explain what happened, but not why. This is at odds with Blum's story about Polly which at several times in the film it is implicitly stated that her death can not be described as her ghost does not remember it, it would have been preferable to keep the secret of her death a secret. Horror here is minimal, there is one strong scene of terror (perfectly framed and with a rising crescendo of musical build up) but that aside there is nothing. We get glimpses of a ghostly woman; a traditional ghost, nothing like the current trend of Insidious style demonic beings. In the first thirty five minutes a phone gets snatched out of Lily's hand, later on she hallucinates the mould that is growing over the walls of the house has infected her, and that is mostly it. Pretty Things was an interesting film to watch, but now it is done with I have no desire to ever see it again, nor do I have any compulsion to recommend it to anyone, except maybe insomniacs like me. It almost seems like an experiment in how to drag out a single idea into a near agonisingly long art piece. Despite excellent layers of brooding atmosphere, the refusal to rely on cheap jump scares, and a single great moment of terror there is just perhaps not enough going on in this modern Gothic horror to properly satisfy.